It has been an emotional year for St. John’s Tigers football. 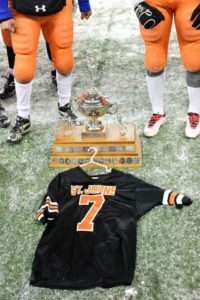 Between the death of former starting quarterback Jordan Thomas, the pressure of not having won a championship for 38 years and challenges of overcoming stereotypes about the school’s image, there was a huge sigh of relief from the Tigers and their fans Thursday night at Investors Group Field after capturing the Winnipeg High School Football League’s Canad Inns Bowl with a 13-10 victory over the Elmwood Giants. “There was bigger meaning than us,” stated Tigers coach Grant McMillan, who brought Thomas’ jersey out for the post-game celebration. “It was about honouring him, and honouring the players we have. The Tigers opened the scoring with a touchdown pass from Myles Kakewash to Asher Wood giving them a 7-0 with 5:51 remaining in the first quarter. Wood was the game’s MVP after catching the Tigers only TD, completing a surprise onside kick to start the second quarter, kicking two field goals and adding a crucial interception with 1:30 left in the game. He also knocked down a pass with four seconds left to force a turnover on downs and secure the title. The game was won by the foot after the score was tied at 7-7, with Wood converting on a 17-yard field goal to end the half at 10-7. The Giants countered to tie the game with a 19-yard field goal from Christian Block, and Wood converted again in the fourth quarter from 21 yards out to make it 13-10. The Giants were led by their dominant running game, countering the Tigers touchdown with one of their own on their first drive of the second quarter. Running back Evyn Melville plunged into the end zone from four yards out to even the scoring at seven with 11:08 left in the half. Melville and fellow running back Jacobien O’Connor received the majority of touches in the Giants offence, as the Giants dominated on the ground all year long. The Giants had little success passing the ball in the second half, headlined by two Christian Block interceptions in the fourth quarter. But their defence was solid all game, as they turned in two interceptions on the game and a fumble they recovered in the third quarter. 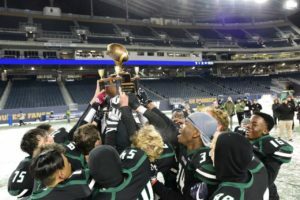 The Vincent Massey Trojans were a perfect 7-0 heading into the Winnipeg High School Football League Junior Varsity Championship, out-scoring their opponents 296-21 in the regular season. 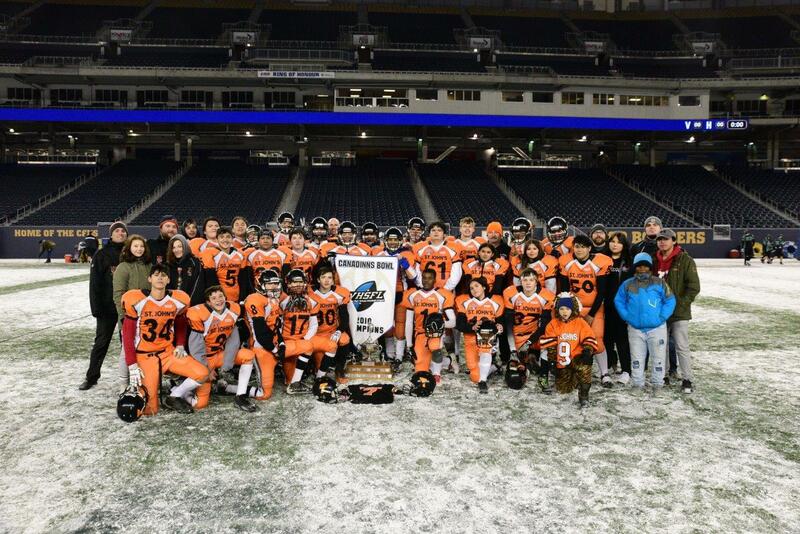 True to form, the Trojans kept that trend rolling right through the final Thursday night at Investors Group Field, cruising to a 39-0 shutout win over the Grant Park Pirates to win the Homerun Bowl. Lewin’s first touch of the game was a 60-yard run to the house that was called back for offensive holding. Grant Park’s defence held their own and the score was stuck at 0-0 until near the end of the first quarter when Lewin punched in a one-yard touchdown as time ran to get Massey on the board. 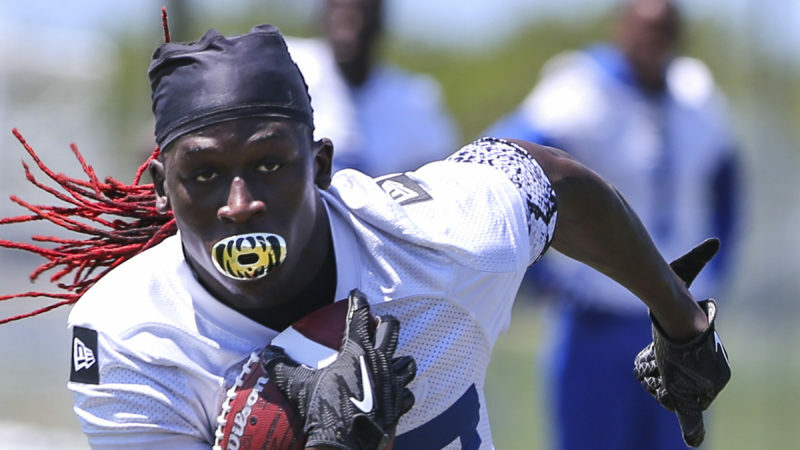 Lewin finished the day with three touchdowns that counted, as he also had a punt return touchdown called back in the third quarter after an illegal block-in-the-back penalty. The Trojans defence rose to the challenge to start the second quarter, intercepting a pass from Pirates quarterback Solomon Bond. Two possessions later, linebacker Daniel Monye recovered a fumble deep in Pirates territory, setting up a Jordan Hanslip touchdown pass to Trey White. Massey went up 14-0, and never looked back. 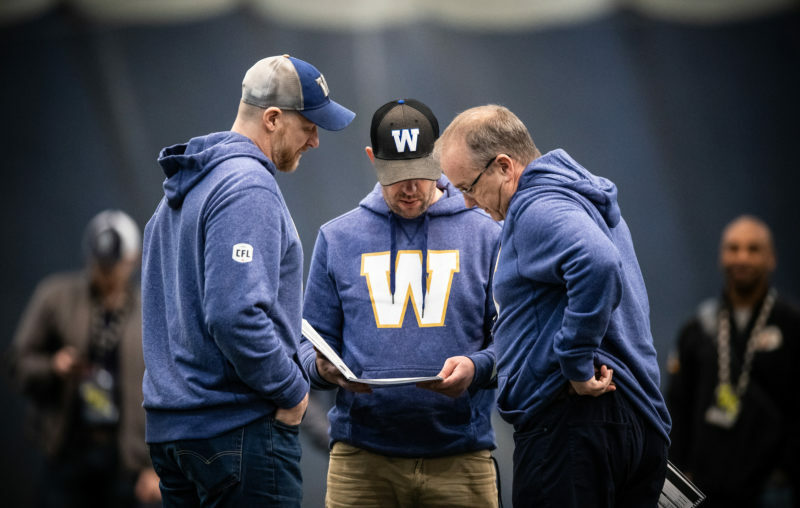 The mix of talent and discipline was apparent throughout the game, as the Trojans defence came up with six interceptions and five forced fumbles. They recovered three of those fumbles and converted one of the interceptions for a touchdown late in the third quarter. 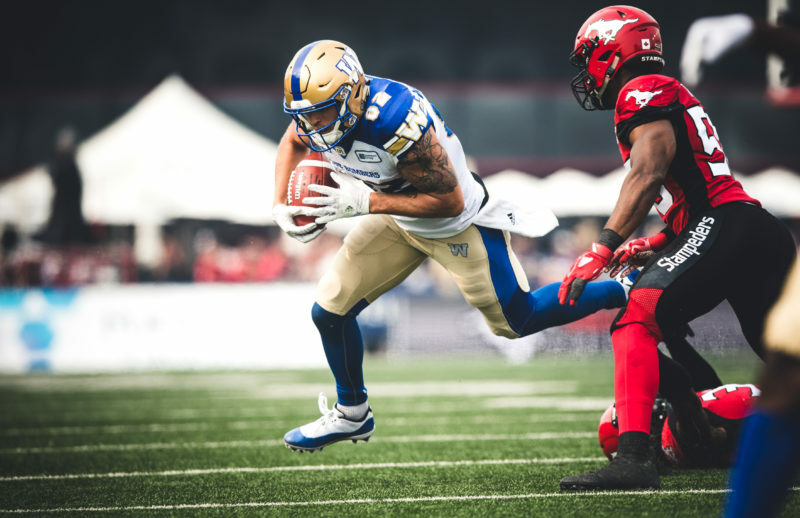 The offence capitalized on the defence’s dominance, with Lewin running for a 40-yard gain at the three-minute warning in the second quarter to set up another Hanslip touchdown pass. This time Hanslip connected with Jesse Bulawka-Lepine from 25 yards out to go up 20-0. The second quarter especially was a sore spot for the Pirates, as every offensive possession they had finished with a turnover. The physical defence that was so effective in the first quarter for the Pirates wore out eventually in the third quarter, giving up touchdown runs of 48 and ten yards to Lewin on back to back Trojan drives. The Pirates were led on defense by Salvatore Pasta and Tiano Pasta, who finished the game with seven and six tackles respectively.